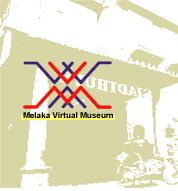 The Virtual Museum preserves for posterity Melaka's historic and cultural heritage on the WWW. Visitors can now 'tour' the museums from the comfort of their homes. The Virtual Museum will be of invaluable assistance to historians and students involved in research on Melaka. The foundation stone for the Melaka State Legislative Assembly building was laid on August 31st 1961 by the Governor of Melaka, TYT Tun Haji Abdul Malek bin Yusuf S.M.N., D.M.K. In this Assembly building, legislative and financial bills were introduced, debated and voted upon. Login to our expectionally comprehensive site on Accommodation that will assist you in your choice of Accommodation. 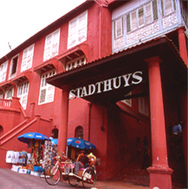 Avoid holiday plan disappointments and enhance your visit to historical Melaka by getting the best rates in town. IT Telecommunication Sdn. Bhd. ©2002-2008 MelakaCOM.Net. All rights reserved. Disclaimer.